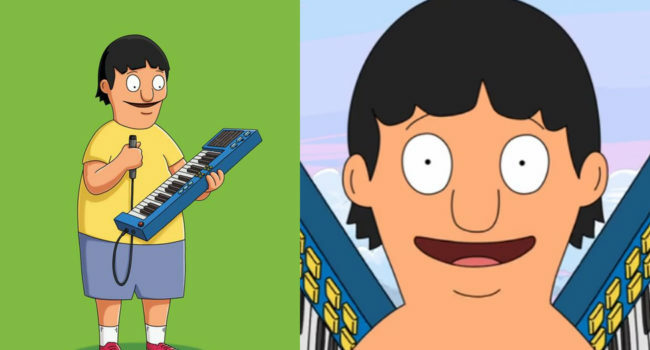 Gene Belcher (Eugene Mirman) is the fart-noise-loving, keyboard-playing, clueless middle child of Bob (H. Jon Benjamin) and Linda Belcher (John Roberts) in the Fox series, Bob’s Burgers. He’s your average 11-year-old boy, and maintains a close relationship with his sisters, Tina (Dan Mintz) and Louise (Kristen Schaal), although he often finds himself wrapped up in Louise’s schemes. More than anything, he wants to be a musician.